The sportsfishing livewell application requires an extremely rugged pump to withstand the harsh marine environment. SHURFLO's BAIT SENTRY is designed for easy installation and trouble-free operation. Magnetic drive technology eliminates unnecessary failures. Anti-airlock feature allows pump to clear trapped air in rough water or when boat is anchored. 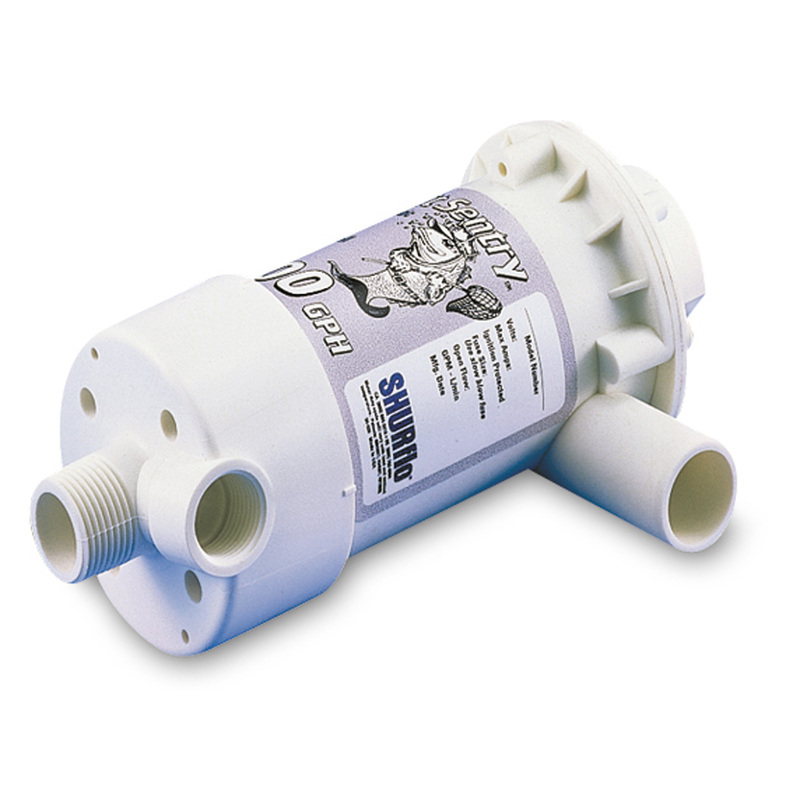 Dual ports allow for easy washdown pump connections.